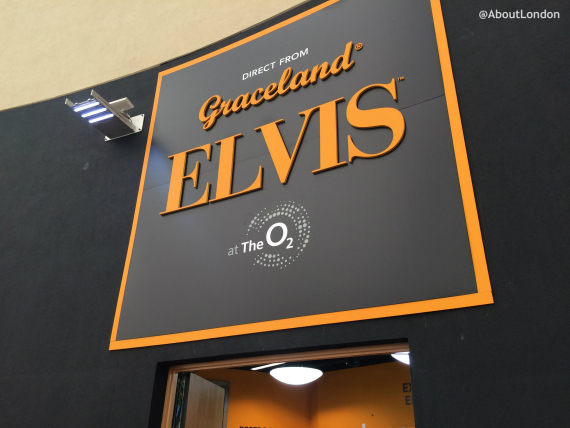 Elvis at The O2 is the largest Elvis retrospective ever mounted in Europe. It’s been on since December and ends in August 2015. 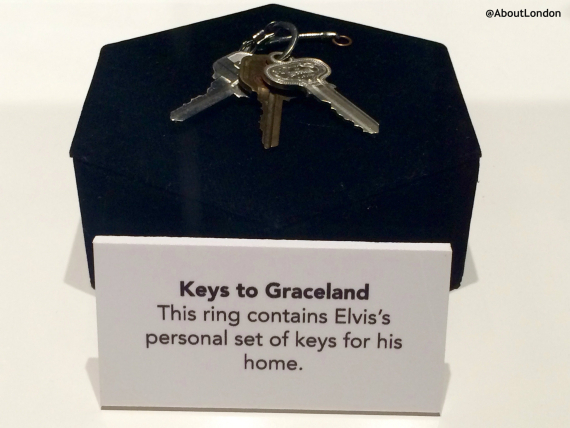 There are over 300 artefacts from the Presley family’s Graceland Archives, some of which have never been exhibited outside of Graceland in Memphis. 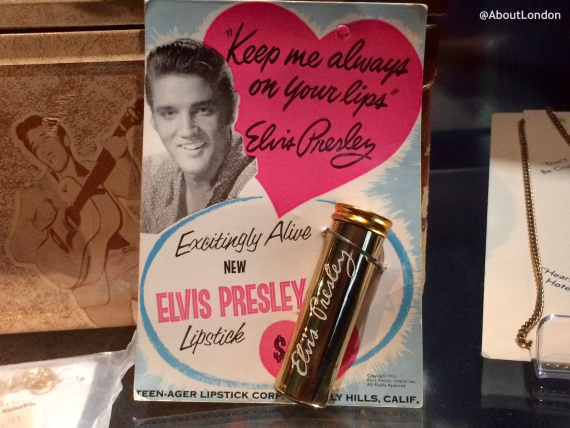 So, this sounds like the right kind of place for any lover of the King of Rock ‘n’ Roll, right? As well as stage outfits – yes, there are multiple white jumpsuits – you can see clothes from his personal wardrobe, records, books, cars and a motorbike too. There’s even the pool table Elvis played on with The Beatles on display and boxing gloves from Muhammed Ali. 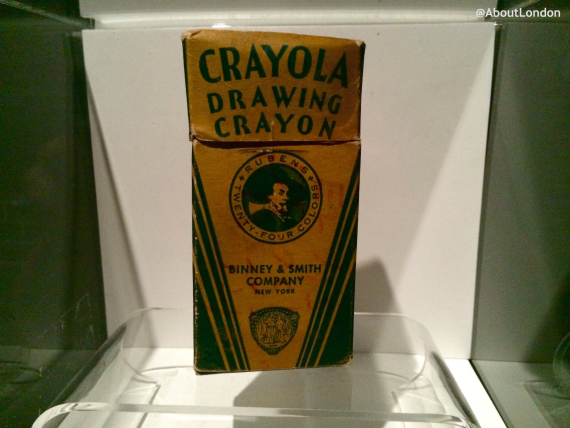 There’s a hand-written letter to President Nixon and the letter he received in return. The white jumpsuits are the focus of the largest room. But even with such rare exhibits this exhibition feels lacking in such a large space. 300 artefacts is actually not that many when some are the size of a cuff link. A visit starts with a film that, strangely, goes backwards to his birth, but is followed by some pictures and exhibits from his childhood in Mississippi. We learn he was born into poverty but went to church and always loved music. But there seemed to be big gaping holes in the story of this legend which left me with more questions than answers. A friend commented that it was rather like reading a blog post that had been written around the blogger’s photos taken rather than a complete picture of the man. 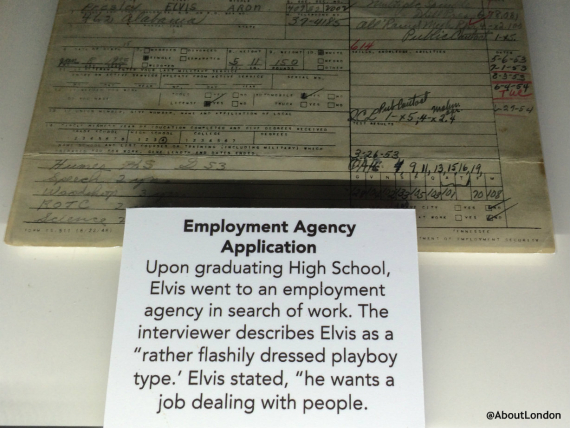 Seeing the videos of Elvis speaking was interesting although one was almost drowned out by the buzzing sounds nearby representing hair being shaved off when he joined the army. 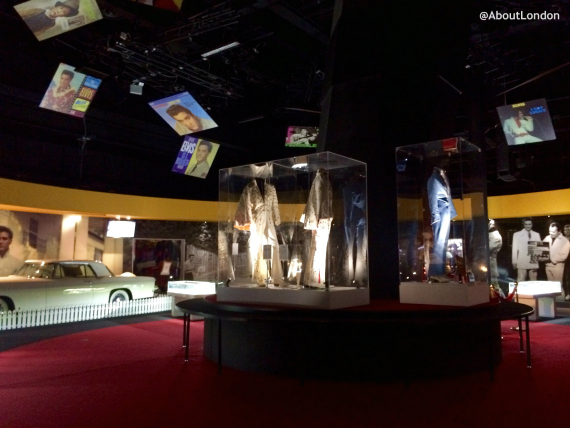 In the Graceland section “Step into my world…” is playing and video screens show you inside the mansion which would be great for those who long to visit but will never get there. But dust on the glass shelves and artefacts was disappointing. This is the central hub at the end of the exhibition with more rooms coming off from here. There’s no reference to Elvis dying in 1977 and there’s a missed opportunity to have a ‘Elvis has left the building’ announcement or sign as the end. 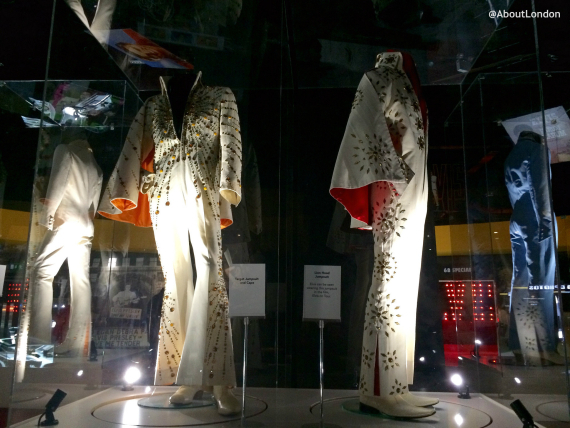 As I watched the concert on the big screen I looked up the Elvis Wikipedia page and discovered more facts about him in those few minutes than the 1.5 hours at the exhibition. I would love to have seen more on who he was influenced by and who has he influenced today offering a chance to see his legacy as more than just saved objects. Next to the exhibition is a restaurant with an “Elvis-inspired menu” which raised a few eyebrows but it’s basically an American diner. Sadly, it was closed when I visited on a weekday morning. 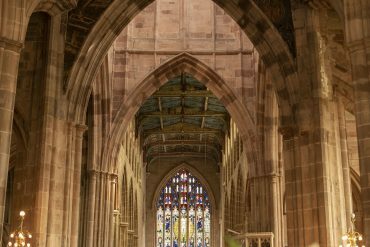 Tickets are £18 on weekdays and £20 at the weekend. Disclaimer: As is common in the travel industry, I was provided with a complimentary ticket for review purposes. While it has not influenced this review, I have included this information for full disclosure.